There will be a free screening of Brooklyn Castle for afterschool and educational workers on November 13, 2012 from 7pm-9pm at Park Day School, Oakland. This feature film documentary is the remarkable and improbable true story of an afterschool program at I.S. 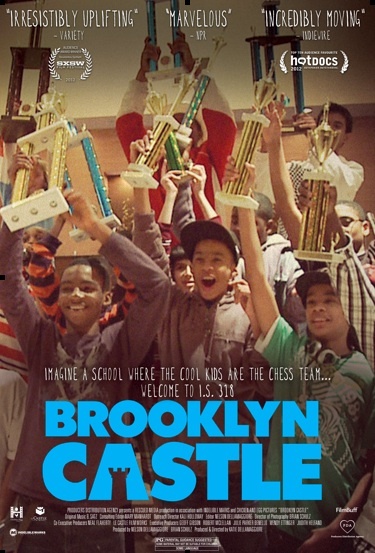 318 in Brooklyn; defying stereotypes, it has the highest ranked junior high chess team in the nation. This film will open in Bay Area theaters on November 16. Please forward on this invitation to others in your network. Seating is limited and people can register here. To see a preview of this film, click here. For a review of the film in the New York Times, click here. For our recent blog post of an interview with the filmmaker, click here. This special screening is sponsored by the Learning in Afterschool & Summer project, Temescal Associates, Partnership for Children and Youth, OUSD’s The Family, Schools, and Community Partnerships Department, Public Profit, and Park Day School. For our friends across the Bay, a San Francisco screening on November 8, 2012, sponsored by DCYF, the Learning in Afterschool & Summer project, and Temescal Associates, can get more information and RSVP by clicking here.